Explaining the Message that Muhammad brought to the world, in affirmation of the messages of the previous prophets. A tremendous hadeeth (prophetic narration) explaining one of the signs of Prophethood. 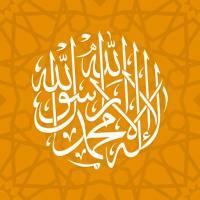 Why do Muslims Believe that Muhammad was a Messenger of God? The final messenger sent to mankind was a man born in Makkah named Muhammad ibn ‘Abdillaah (may Allah raise his rank and grant him peace). Although many Westerners generally accept that the likes of Abraham, Moses and Jesus were prophets of God, they have trouble accepting that Muhammad (may Allah raise his rank and grant him peace) was a prophet of God too. This has very much to do with the fact that their ancestors did not accept the message of the final prophet, and consequently, they do not regard him as being a prophet of God either.